This monitoring software is the latest advacement in PC surveillance. It is both a keylogger and screen capturing program. Stealth mode. The program is undetectable, even when run at start-up. Playback mode. View user activity in real-time or sped up. Simple installation. 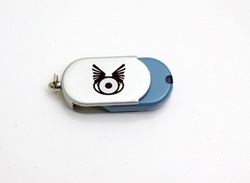 Simply insert the Eagle Eye USB to the computer and install the software, then remove it. Easy log retrieval. This software can covertly send the logs to your email address. Ensure you know everything that occurs on your computer even when you're miles away with monitoring software.